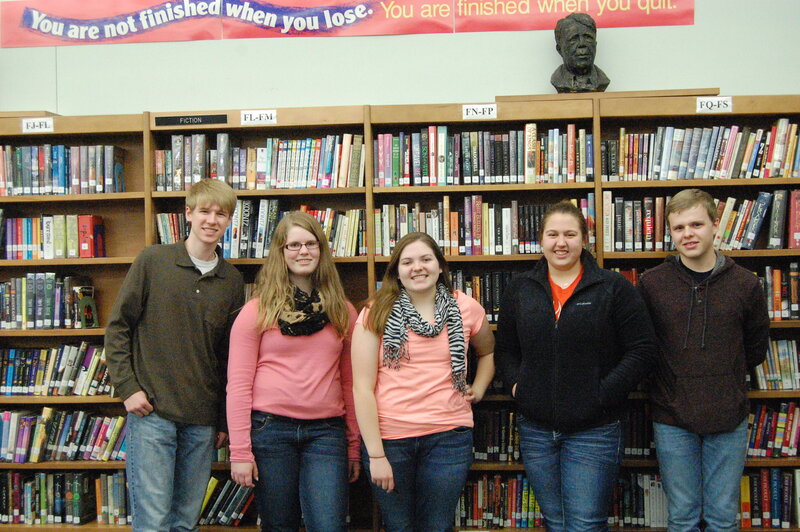 Posted on March 10, 2015 by staceyanderton1	in News and tagged Key Club, New leaders, SHS. The new leaders gather in the library. From left, Haylett, Gage, Kightlinger, Hatton and Boylan. Each meeting, the members of the Pantherian Key Club rise and recite this pledge which represents the mission of the club as well as what members should strive to achieve through their membership. On Tuesday, February 17, five Saegertown students decided to go beyond merely attending meetings and reciting this mantra when they were elected 2015-2016 Key Club Officers. The current officers, seniors, are: president Lexie Erdos, vice president Rachel Smith, treasurer Sarah Allen, secretary Erin Sherry and editor Matt Peters. These officers will continue to serve until the end of the school year, and they will mentor newly elected officers so they will be prepared for next year.